Mr. Smith is a Licensed Professional Electrical Engineer in Texas and 21 other states. He is also certified through the National Council for Examiners for Engineering and Surveying (NCEES), a Licensed Professional Real Estate Inspector in the State of Texas, and a member of the Institute of Electrical and Electronic Engineers (I.E.E.E.) and the International Associate of Arson Investigators, Inc. (I.A.A.I.). Mr. Smith has in excess of 40 years’ experience in the electrical field. He holds a Doctor of Philosophy from Louisiana Baptist University and a Master of Arts from Baptist Christian University. He has been employed as a Utility Planning Engineer, a System Planning and Design Electrical Engineer, Electrical and Instrument Project engineer for petrochemical projects, and as an Instrument and Electrical Field Superintendent for the construction of hydrogen plants. He began practice as a Forensic Electrical Engineer in 1998. 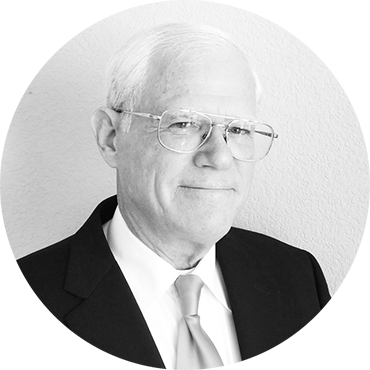 He has provided expert testimony in numerous state and federal courts in both civil and criminal matters. In 2006, Mr. Smith joined Verité Forensic Engineering, LLC., located in Conroe, Texas, as a partner and Senior Electrical Engineer. His expertise lies in electrocution/electric shock evaluations, product liability injury and/or property evaluations, commercial/industrial electrical equipment failure analysis, illumination/lighting accident evaluations, and electrical potential fire cause determinations. Mr. Smith has provided instruction on OSHA safety-related work practices for oil refinery personnel, medium-voltage arcing in the electric utility industry for volunteer fire departments, and multiple electrical presentations for the Texas Department of Insurance. He has also published an article titled, “Catastrophic Failure in Undersized Electrical Equipment,” in the journal, Focus on Forensics. Click here to download Mr. Smith's CV.